The British Foreign Secretary, Boris Johnson, has aligned himself with his French and German counterparts in campaigning to keep the Iran nuclear deal alive. On Monday his two European colleagues vowed to stand by the 2015 accord even if the U.S. pulls out, which President Donald Trump is threatening to do. "I think that we can meet the president's challenge and be tougher on Iran, it's what we have to do; but without throwing away the heart of the Iran nuclear deal, because what it does, and it's worked so far, is to stop the Iranian getting a nuclear weapon, and we can ask ourselves how else will do that." Trump maintains that unless European allies rectify what he sees as "flaws" in the agreement with Tehran by May 12, he will refuse to extend U.S. sanctions relief for Iran. On Monday President Rouhani said that even if the U.S. does pull out, his country would abide by the deal so long as the EU guarantees that Iran will keep benefitting from the accord. "On this issue, Americans will be the main losers," said Rouhani. "Loss and failure will be for them in the end. We will continue our path." 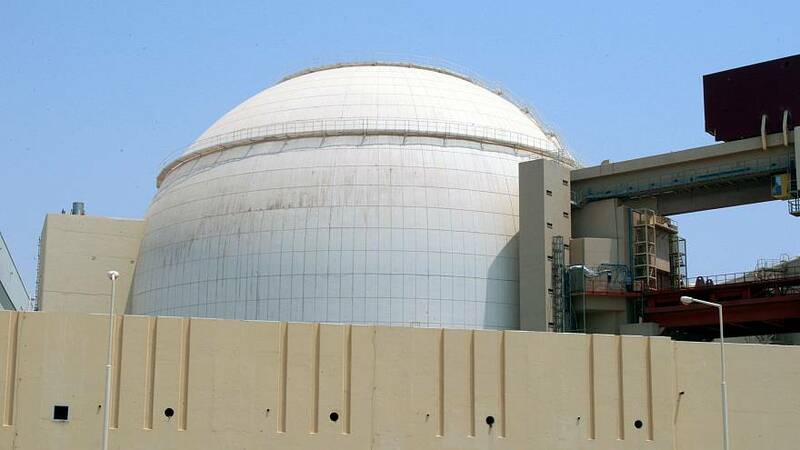 Under the 2015 deal, Iran agreed to limit its nuclear activities in return for an easing of economic sanctions. Boris Johnson agrees it is flawed but thinks it can be fixed.